The NCAA is expected to make a ruling on Penn State at a press conference tomorrow morning at 9 AM. NCAA president Mark Emmert made the announcement earlier today that he will announce penalties levied against Penn State in relation to the Jerry Sandusky child molestation crimes – and the school’s unwillingness to do anything to stop it. Now while I agree that a statement must be made for other schools to take notice of what happens when they value football over the safety of children (and anyone else for that matter), I think the NCAA is headed down a slippery slope. First of all, Emmert is asserting his authority without the enforcement process that takes weeks and sometimes months. He is doing it without any notice of allegations. There has not been a Committee on Infractions hearing, which gives schools the chance to respond to allegations from the NCAA. In short, he is turning into college sports equivalent of Roger Goodell. The NCAA is so by the book. It’s hard to believe to see someone, let alone its president, go outside of the box like that. 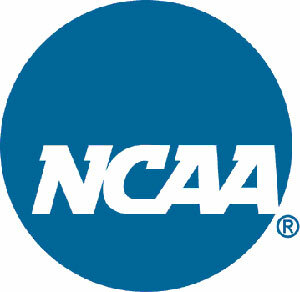 The NCAA has also opened itself up for criticism from colleges, fans, and the media. How would it be taken seriously when it investigates other athletic programs? It would risk itself being branded as inconsistent in its future investigations at best. Is this the beginning of the NCAA acting in cases where the primary issue does not center around athletics? Would the NCAA act in the same manner pertaining to sexual harassment cases? I am not saying the NCAA is beyond reproach in handling violations and its perpetrators. If anything, the NCAA are in most cases lacking in that regard. But at least I could say the process it takes along the way has been consistently bad. Again, I am not against Emmert and the NCAA using Penn State to send other schools a message. I just think it will make us wonder even more of makes the NCAA tick – even if it would be a more painful endeavor. You said it perfectly, brother. The NCAA is acting in a case that has nothing to do with athletics. Now they’re delving into punishing athletic departments when someone is involved in a crime. Yes, Sandusky is a horrible man, but his actions gave Penn St no advantage or disturbed the competitive balance on the field. Sandusky and anyone who had knowledge of what he was doing should have to explain his actions in a courtroom. That would include Paterno if he were still with us. There are plenty of administrators who knew what was happening and haven’t been brought to justice. Punish them and leave the student athletes alone. Most were 7 or 8 when this happened. I’m shocked that Penn State has agreed to this and waived any rights to appeal or sue. Thousands of student athletes and people who work in State College will be hurt by this even though they’re totally innocent.